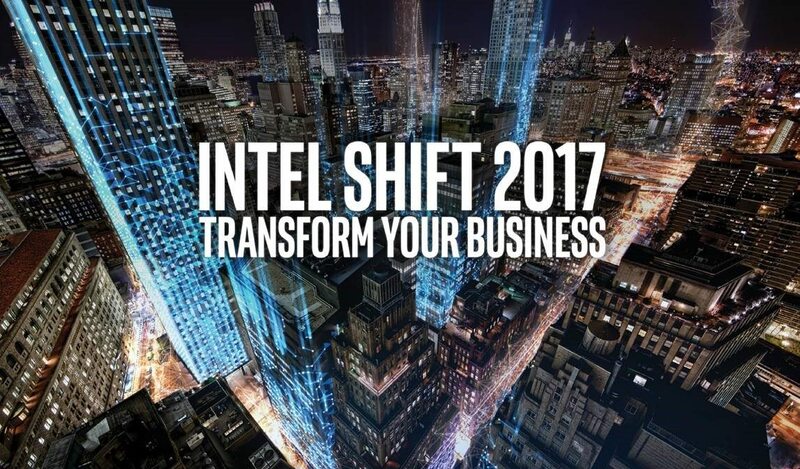 Today, I’m in New York City for Intel SHIFT 2017—a gathering of business executives, IT leaders and technology luminaries across a wide spectrum of industries. We’re together today to share perspectives on the incredible shifts that we’re facing in this era of cloud, artificial intelligence (AI), Internet of Things (IOT), and big data. I’m especially looking forward to hearing from some of Intel’s biggest customers about their challenges and strategies for digital transformation using both public and private infrastructure. While the focus of SHIFT isn’t on products, we do expect to hear about digital strategies that are enabled by new Intel® Xeon® Scalable platforms and the Intel® AI portfolio. These are the kind of advanced data center and analytics technologies that can help “future-proof” your digital business. For example, Warner Bros. will discuss its efforts to find new ways to classify and monetize home video content using AI, and Johnson & Johnson will share how hybrid cloud technologies are helping them advance their IT strategy and stay competitive. Other companies speaking at SHIFT today include Amazon, Autonomous Tractor, Citigroup, FINDMINE, Google, Microsoft, Montefiore, Red Hat, Sharp Healthcare, StrongArm Tech and T-Mobile. Daniel Newman: If you look for the common threads among the world’s most innovative companies you will almost always find a handful of commonalities. While every company, of course, has its own unique DNA, I believe there are 4 threads beyond just effective technology that innovative companies have over their competitors: They are obsessed with the customer’s experience; their transformation starts within, with their people and culture; they have bold leaders that know when to take risks – and know that meaningful change requires leadership and people to come before the technology itself. 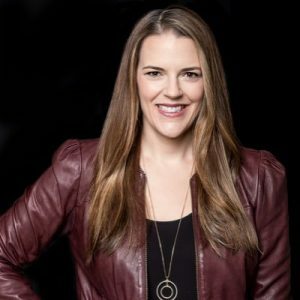 Lisa Spelman: Adding to Daniel’s point about the customer experience, just a few years ago, the phrase “create value” mostly implied an end-product that customers could buy. Today, value can be created all sorts of ways using technology and the vast amounts of available data. We can cut costs through hyper-efficient supply chains. We can shorten delivery times with predictive inventory staging. We can tailor products, offers, and services based on the customers’ behavior and preferences, and add value individual by individual. The fuel for value creation is data, but technology infrastructure, in the hands of smart, creative people, is the engine. Velocity is created when we compress the time from data to results. Daniel Newman: I think the biggest mistakes most companies make is they think that transformation has a beginning and an end point. As if you reach some imaginary line and you are transformed. There are disruptors out there looking to exploit the shortcoming of solutions that have been deemed as a disruption. Netflix has Amazon and every other media company on the planet nipping at its heels. Now Facebook enters the fray. Facebook has thwarted off the likes of Snapchat and Instagram (via acquisition), but their focus on staying ahead of the curve has allowed them to not be disrupted. There are countless Uber copycats and there are many people seeking an alternative based upon some of the negative press around Uber. Tenures are shorter than ever and being able to change quickly to adapt to new market forces isn’t something that can be taken lightly. Adapt or Die, it really is that simple. Lisa Spelman: “Adapt or Die” isn’t just about business models, it also applies to IT systems. Flexibility and adaptability are the “X-factors” for future-proofing. If you can move rapidly, the competitive advantages are tremendous. Locking into proprietary or fixed-function IT systems may seem to be the fastest way to solve today’s problem, but when the environment changes, those systems can easily become one of your problems. We advocate for systems built on open, standards-based architectures, and using virtualization and orchestration that enable rapid configuration and changes to workloads. We’ve already seen this transition in compute, and now virtualized, software-defined infrastructure is transforming storage and networking, as well. A solid hybrid cloud strategy helps, too, enabling you to quickly scale and leverage best-of-breed services from the industry. We observe that customers who orient themselves along these lines increase their velocity and adaptability in the face of change. Lisa Spelman: This is a tough one! You have to deal with the immediate issues, but reserve enough energy and resources to plan for what’s coming on the horizon, whether it’s blockchain, AI, 5G networks, or some new disruptive competitor. You can’t stop the future, so for me, it comes back to flexibility and adaptability. With the right IT planning organization and technology infrastructure, you’re in a better position to seize these opportunities as they emerge. Business and IT leadership must also resist the urgent tyranny of “now” from dominating all organizational energy. Daniel Newman: Lisa’s point is a really good one. Probably one of the biggest challenges for most companies in achieving their digital transformation initiatives is the overwhelming feeling of trying to tackle all of it at one time. Smart companies are making transformation a reality by making projects into a consumable size. This type of transformation may be as simple as focusing on a single department’s order procurement or improving one portion of the customer experience. However, the companies that do this with purpose see each of these small changes as a piece of a bigger change. Then it is possible to learn from the change to repeat more meaningful transformation in other parts of the business and then scale the change by learning how to increase speed and reduce friction. Successful projects become a model for continued innovation and digital transformation. I want to thank everyone for participating in today’s event, especially our customers who are taking the time to share their stories today. For those who aren’t able to join us in person, please follow and join the conversation online at #INTELSHIFT. Co-authored by Daniel Newman, Principal Analyst at Futurum Research & CEO, Broadsuite Media Group.